The Next Level are a multi-disciplined team of in-house consultants, lighting designers, audio visual engineers, electricians and IT technicians, who together as a team design and realise award winning smart home technology projects. Our specialist skills also translate perfectly to commercial, hospitality and private sector projects, where we are able to offer a turnkey solution for hotels, schools, offices and retail premises. With over 20 years gained experience designing and installing audio visual and smart home technology systems, The Next Level provides an expert service you can rely upon. Having confidence in your chosen specialist's ability to design and deliver flexible and resilient technology systems is paramount to the success of any smart home project. Many of our senior staff have been involved with home automation since the very outset of the industry and spent many years mastering the market leading systems synonymous with ultra-prime residential properties. Many of our senior staff have been involved with home automation since the very outset of the industry and spent many years mastering the market leading control systems synonymous with ultra-prime residential properties. We listen to our client's wishes and help guide them through the necessary thinking to tailor our system designs to meet their individual needs. Importantly, our specifications are not driven by profit margin or dealer incentives. We carefully select the right products for each unique project based on merit and suitability. "When I first met Jon Cooper, my first impression was that he was an enthusiastic, caring, knowledgeable young man and I always knew that he was going to make it. Seventeen years later, he has his own company and I am so pleased to see that The Next Level carry on the same spirit. They go to great lengths to ensure that the customer is looked after, delivering life changing technology. Their personal touch and technical expertise is exemplary to our industry and I have only heard glowing reports from their customer base." "TNL have worked really well with many of our most discerning clients over many years. Their service has been exemplary, they have worked seamlessly with the consultants and builders, and their team is helpful and knowledgeable. Highly recommended." "We have used TNL successfully for both Development and Client projects for over 5 years and consider them the market leader in design, installation and customer service. We would not hesitate to recommend their services." "TNL worked with us from the start as both consultant and contractor on a major refurbishment. They designed, supplied and installed an incredible multi-room AV, home cinema and lighting control system and also took care of our IT needs. My wife and I were hugely impressed with TNL throughout and they were undoubtedly the best of all the many consultants and contractors we worked with. They really know their stuff but always focus on the client's interests rather than on selling product. But most important of all, they are professional and totally dedicated to achieving the highest quality. This has been demonstrated clearly by their fantastic aftercare - nothing is too much trouble. We would not hesitate to recommend TNL to others." "Thank you again for going that extra mile to make our client extremely happy. You and your team have again provided us and our client with an excellent service, both with the design and installation of the AV and electrical systems. The client was also delighted with your handover and ongoing support while they get used to their new home. We look forward to working with you again on the next project as you make our life stress free." "I have used TNL on three major re-modelling projects over recent years. They are technically able, responsive and, most importantly, very friendly people who provide excellent aftercare. They have worked well with the other professionals on our projects and become a valuable member of the professional team." "TNL demonstrated unrivalled capability in all areas. Conception, design, explanation, installation and service all flowed seamlessly to an end product, which I am immensely proud of. My endless questions were met with endless answers, which gave me significant comfort that I was in safe and knowledgeable hands for the electrical and AV install to my new home." "We worked with TNL from concept to reality on our whole house AV/lighting and blinds system. Everybody involved was very nice, professional and responsive. Frankly, we could not have been happier with the advice and service that we received - definitely The Next Level!"  "The Next Level have always provided an excellent first class service, their engineers are polite, courteous and experienced. We would highly recommend them." With market analysts projecting the global smart home market to be valued at USD 137 Billion by 2023 and annual growth to exceed 12% a year, there has never been a more exciting time to be involved in smart home technology. At The Next Level, we are always on the lookout for exceptional people to join our award-winning team. Whatever your level of experience, if you have an aptitude towards technology and a work ethic to match your aspiration, our doors are always open to you. We know how demanding it can be working on ultra-prime smart home projects. It's a high pressure industry with so much to keep track of and organise, that at times, it's enough to make your head spin! My TNL is a collaborative iOS application we have developed in-house to aid our team's workflow. Easily manage your project to do lists, arrange and track service calls, monitor site progress and check stock status. You can even book your holiday and vote for colleagues to win our Employee of the Year award and a holiday in the sun with their friends and family. We listen to our team's feedback and add the best features requested to help make everyone's work life easier and importantly, more fun. Designing a future ready smart home is as much an art as it is a skill. Smart home technology's rise to become the de facto approach for controlling the modern home's fundamental services such as heating, cooling, lighting, shading, security and audio-visual is well documented. With the emergence of The Cloud and the IOT (Internet of Things) smart technology is now being built into a wide and diverse range of products. With over 9 billion connected "things" in 2017, it is anticipated that by the end of the decade, IOT enabled products installed across the world will exceed 20 billion devices. The Next Level act as curators of this technology, using our expertise and wide-reaching knowledge to bring together the best and most appropriate systems out there for your project. A professionally designed smart home system converges all home technology into a unified master control system. This simplifies the user experience so you don't need an instruction manual or PHD to interact with your home. We embrace the latest technologies such as voice control and the IOT, leveraging their power to make our client's lives easier, more productive and greater fun. At TNL, we listen carefully to our client's needs before guiding them through the necessary thinking to select the best fit of technology and services for their project. We specialise in all leading smart home control systems with a proven track record of providing reliable performance and legacy support. From immersive home cinema to hidden TVs, multi-room distribution and media streaming. All forms of audio visual solution can be integrated within a smart home system to provide the perfect home entertainment experience. In today's world of sponsored endorsement and misleading reviews, we cut through the fake news and techno babble to give real world advice on the latest and greatest audio-visual systems and streaming services. No matter whether your audio-visual requirement is modest or you desire all the latest toys for every room in the home, our experienced team can provide a custom entertainment solution to suit any need. Security systems cover a wide range of technologies that can be integrated within a smart home system to enhance their effectiveness. We take care of all AV and IT related security needs in-house such as CCTV, video door entry and access control. We then partner with specialist alarm system providers and integrate their fire and intruder alarm systems to provide a cohesive smart home security package. Paramount to every system design, is our client's privacy and cyber security. Our attention to this detail does not stop at the specification of a secure home network. We work with trusted brands and run new products through rigorous test procedures at our in-house R&D facility to identify security flaws and ensure their suitability for our client's homes. We all know we want good quality Wi-Fi and a fast broadband connection for our homes so that we can enjoy using modern technology frustration free. But there's a lot more to the home network than just an incoming connection and Wi-Fi for internet access. Today, more "connected" technology than ever before is going into the modern home, with each connected device drawing greater resource from our home network. Add to this the growing trend towards cloud delivery services, Ultra HD 4K media streaming and Airplay within the home, and we can start to see why reliance upon a basic network is no longer adequate for larger properties with wide scale systems. Today, more "connected" technology than ever before is going into the modern home, with each connected device drawing greater resource from our home network. Add to this the growing trend towards cloud delivery services, Utra HD 4K media streaming and Airplay within the home, and we can start to see why reliance upon a basic network is no longer adequate for larger properties. At The Next Level, we assess our client's IT needs and take care of the entire process for them. From liaising with internet service providers and aranging the incoming lines, to delivery of a fully commissioned and secure home network with everything set up and ready to go. Our experienced IT technicians utilise market leading products to provide super-fast, super reliable performance no matter how technology complex the home is. At The Next Level, we assess our client's IT needs and take care of the entire process for them. From liaising with internet service providers and aranging the incoming lines, to delivery of a fully commissioned and secure home network with everything set up and ready to go. Today unquestionably, the mobile smart phone is the go to device for our communication needs. However, telephone systems still play a key role in converging telecommunications within larger properties and multi-dwelling apartment blocks, especially those with staff or concierge services. Call transfer, extension calling, paging announcements, cordless roaming, even integration of video door entry and CCTV to video enabled handsets. We cater for any need advising on the best service, system and handsets for improved call quality, design aesthetic and telephony features. We then deal directly with the service providers on our clients behalf and manage the entire process, delivering a fully commissioned system that's ready to go. With over 20 years lighting control experience, in-house lighting design and electrical expertise, our exceptional understanding of scheme design, lighting control technology and their electrical requirements combine to produce award-winning results. Harnessing the latest advancements in LED lamp and lighting control technologies, our lighting specialists elevate interiors, create drama, improve vision and enhance wellbeing through intelligent control of light and shade. Ultra-prime residential properties often require exceptional light switching and control. We work with the leading lighting control systems and match their high quality dimming with the world's finest switch plates from luxury brands such as Meljac and Atelier Luxus to provide our clients with a unique, custom integrated solution bespoke to their home and lifestyle. We work with the leading lighting control systems and match their high quality dimming with the world's finest switch plates to provide our clients with a unique, custom integrated solution, bespoke to their home and lifestyle. An integral part of good lighting design is the ability to harness and enhance the qualities of natural light. The right combination of lighting control system and motorised window treatment maximises all of a space's potential. We supply and fit motorised window treatments in a range of styles and fabrics, alongside the technology that enables blinds, curtains, shades or shutters to be operated remotely and even wirelessly. Integrated within a smart home system, motorised window treatments can be automated as part of a security mode or even programmed as part of a human-centric routine to wake you gently in the morning and aid a healthy circadian rhythm. Heating, ventilation and air conditioning (HVAC) systems, can be integrated as part of a smart home system to provide many benefits over stand-alone solutions. Normally installed within larger residential properties with more complex heating and cooling requirements, a building management system (BMS) automates the various functions required to achieve accurate climate control, improve heating and cooling efficiency and provide the client with a simplified user interface to set the level of their home's comfort. At TNL, we have over 20 years HVAC integration experience working with all major control system brands. As a member of the professional design team, we work alongside M&E consultants to advise on the best integrated solution for each unique project. We then collaborate with the various contractors involved during the construction phases, to ensure delivery of a fully commissioned smart home system providing simple, yet powerful, whole house climate control. At TNL, we have over 20 years HVAC integration experience working with all major control system brands. As a member of the professional design team, we work alongside M&E consultants to advise on the best integrated solution for each unique project. With technology being so fundamental to the modern home it is important to invest wisely, not just in the technology you select but also, in the people you entrust to design, install and support it. At TNL, we provide our clients peace of mind that they are supported always. Our installed systems come with an industry leading 24/7/365 Complete Care package as standard, so our clients are fully supported from day one. With options for our clients to extend or customise their Complete Care package beyond the first year, our dedicated personal support service can be secured for the future of the system. From general maintenance and product warranties, to remote technical support and 24/7/365 emergency response, we offer tailored Complete Care packages to meet any need. On an increasing basis, we receive enquiries from new clients, architects and interior designers regarding systems that have been installed by their chosen smart home integrator but failed to meet expectation or even work correctly since day one. This can be for a combination of reasons but we often find that negative experiences stem, not from the products that have been installed, but from sub-standard installation or system programming followed by a lack of reliable aftercare and technical support. On an increasing basis, we receive enquiries from new clients regarding systems that have been installed by their chosen smart home integrator but failed to meet expectation. This can be for a combination of reasons but we often find that negative experiences stem, not from the products that have been installed, but from sub-standard installation or system programming followed by a lack of reliable aftercare and technical support. Through gained experience working with smart home technologies for over 20 years, our professional team are adept at diagnosing problematic systems and rectifying faults found to provide a frustration free user experience, exactly as it should be. Once rescue works have been completed, we don't disappear into thin air. We offer ongoing aftercare packages to provide the client peace of mind they are supported and re-build their trust in the technology they originally invested in. Our professional team are adept at diagnosing and rectifying faults found to provide a frustration free user experience, exactly as it should be. Once rescue works are complete, we don't disappear into thin air. We offer ongoing aftercare packages to provide the client peace of mind they are supported and re-build their trust in the technology they invested in. The Next Level has expert knowledge in all fields of audio-visual design and installation. Whether the system brief is high performance, discrete installation, a private cinema or whole home multimedia system, our specialists can provide the perfect solution. For many of our most senior technicians, this is where it all started. Designing high end audio visual systems for some of the world's most discerning clients. Hollywood movie stars, A-list recording artists, film directors and producers. Over the years we have designed mind blowing home theatres and reference grade audio systems to satisfy even the most critical professionals in the business. With the advent of Ultra-High Definition 4K video and Dolby Atmos surround sound, home cinema is now more immersive than ever before. From cosy snug media rooms to custom home theatre and private screening rooms, whatever the requirement, our award-winning audio-visual technicians take cinema design to The Next Level! With the advent of Ultra-High Definition 4K video and Dolby Atmos surround sound, home cinema is now more immersive than ever before. Designing a truly immersive home cinema goes way beyond simply positioning the loudspeakers and a screen correctly within a room. Consideration must be paid to the room dimensions, sound pressure levels, acoustic treatments, light level, furnishing and finishes. It is also important to that the correct construction methods and materials are used to build the room itself. At TNL, we provide a professional cinema design and installation service with all the necessary technical drawings and construction detail produced for the build team to take our concept forward. For client's seeking a one stop solution for their dream home cinema, we offer a turnkey service transforming a white box into the finished room complete with furnishing and sumptuous decor. At TNL, we provide a professional cinema design and installation service with all the necessary technical drawings and construction detail produced for the build team to take our concept forward. For client's seeking a one stop solution for their dream home cinema, we offer a turnkey service transforming a white box into the finished room complete with furnishing and sumptuous decor. Some of the most beautiful music we have ever had the pleasure to experience was reproduced, quite simply, by a pair of exquisite reference grade loudspeakers and perfectly matched electronics. At TNL, we take the design of reference grade audio systems very seriously. Picking from some of the world's finest audiophile grade components we select the perfect match of loudspeaker, amplification, power conditioning and source components to bring your music to life. Our audio technicians already have a great ear for sound, but most importantly, they are equipped with the necessary tools and training to precisely calibrate audio systems. We ensure that your investment reproduces music and movie soundtracks in the finest detail, exactly as the artist and director intended. It's great to have entertainment systems for the family throughout the home, but nobody wants to see those annoying, dust collecting grey boxes taking up space and cluttering a beautifully designed interior. Multi-room media distribution provides HD Audio and Ultra HD 4K Video throughout the home from a central location via built in cabling. Install fewer components, take out fewer subscriptions, share sources with the family or have your own personal sources follow you to any room. With the correct cable specification, centralised audio-visual systems are the best way to future proof your home for what's on the horizon and beyond. Netflix, Amazon Prime, Apple TV, Deezer, Spotify, Tidal, the list goes on. Streaming was always the future, it's here now, so what does the new future hold? Higher quality, higher definition, higher bandwidth, higher, higher and higher! We design not only for what is here now but also what is coming in the future. We make sure you have the infrastructure in place to support more content, higher resolution, greater bandwidth, super-fast downloads and ultra-smooth streaming. And for clients with private collections, family movies or a need to support music and video even when offline, we offer high quality media server solutions to suit any need. Pop up displays, flip down screens, moving artwork and mirror TVs. With home automation and careful selection of products, there's a way to hide just about any TV, projector and loudspeaker to create a discrete or even invisible audio-visual solution. We collaborate with interior designers to ensure that technology enhances the home rather than it taking center stage. Ultra-prime residential properties often require perfectly matched, bespoke solutions to meet the interior designer's vision. Whatever the challenge we endeavour to source a solution. With access to a range of bespoke offerings from architectural ironmongery to real wood veneers and precious metal finishing, almost anything we have been asked to achieve has been possible. We have in-house satellite and aerial installation services solely to serve our own smart home projects and legacy installations. This streamlines the process of arranging, installing and maintaining satellite and aerial distribution systems for our clients. Catering for both single-dwelling and multi-dwelling communal installations, we offer solutions for both domestic and worldwide television broadcasting, covering the widest range of satellite and IPTV services available. For multi-dwelling landlords, we offer bespoke maintenance contracts with a check in/check out process to take care of new tenant's requirements so that everything is setup and ready to go the day they move in. Professional lighting design combined with well executed lighting control can transform the comfort and ambience of the home as well as enhance vision, promote wellbeing and aid a healthy circadian rhythm. Our in-house lighting designers have vast experience designing creative schemes across multiple sectors, from super prime real estate to hotels, restaurants and retail. Professional lighting design combined with well executed lighting control can transform the comfort and ambience of the home as well as enhance vision, promote wellbeing and aid a healthy circadian rhythm. Our in-house lighting designers have vast experience designing creative schemes across multiple sectors, from super prime real estate to hotels, restaurants and retail. The combination of our creative lighting skills, electrical expertise and control system knowledge means we are able to offer a level of lighting design expertise rarely found within our industry. Importantly, we take the guess work out of selecting products that complement each other. We have all the necessary control technologies and diagnostic equipment in-house, to test the compatibility of drivers with luminaires and control methods to ensure that our designs are 100% guaranteed to provide noise and flicker free dimming with accurate colour temperature matched fittings across the scheme. An integral part of good lighting design is the ability to harness and enhance the qualities of natural light. The right selection of motorised window treatment and shading maximises all a space's potential to create the perfect setting. Integrated with an intelligent lighting control system, motorised blinds, curtains, shades and shutters can be automated as part of a security mode, set to react to changing weather conditions or programmed as part of a human-centric routine to wake you gently and naturally in the morning. We collaborate with architects and interior designers to ensure all the necessary construction detail is in place so that the various mechanisms and motors required for automation are "built in" creating a seamless finish and streamlined aesthetic. Human-centric lighting is the latest buzz word in the world of lighting control. This is lighting devoted to enhancing vision, performance and wellbeing in the home or workplace by controlling the level of blue light we experience throughout the day. A human-centric lighting solution is always based on a professionally planned lighting concept where all components are precisely matched to the requirements of the client and the specific purpose of each room within the home. Through the use of carefully selected "tuneable" LED luminaires and an appropriate lighting control solution, the colour temperature of emitted light can be progressively adapted based on the time of day, to ensure lighting within the home is in tune with our natural rhythm, aiding our sleep/wake cycle and helping to increase our productivity. As independent suppliers, we source the best fittings for your project, meaning a seamless transition from the design stages to installation. With our own dedicated R&D department, we remain at the forefront of the latest technologies and developing lighting market. To ensure you get the best, we invest time and resources researching global developments and identifying new products for use within our award-winning schemes. We also understand the commercial constraints of development projects or indeed the impact of escalating build costs for private clients. With increasing regularity, we are asked to value engineer schemes produced by reputable 3rd party lighting consultants focussed on selling their own branded light fittings or those they have secured distribution rights for. As we are neither a manufacturer or distributer of lighting goods, we are adept at value engineering schemes to offer better value whilst often surpassing the quality and performance of the original design. 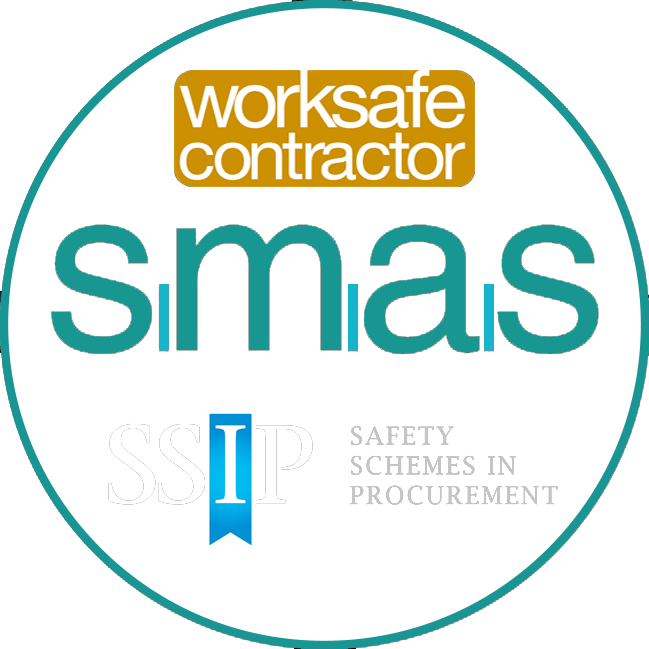 As a fully qualified NICEIC approved contractor, we operate in multiple sectors offering a technically astute electrical contracting service that sets new standards within our industry. Our technical expertise combined with many years gained experience working on ultra-prime residential properties as well as commercial and public-sector projects, means we have unrivalled expertise in all areas of electrical installation. We apply the same care and attention to detail on every project we are involved with, ensuring our work is carried out to the highest level attainable. We always strive to provide a friendly, knowledgeable and professional service to our clients which, over time, has built strong and mutually beneficial relationships leading to repeat referrals and our continued success. We fully acknowledge that a visually stimulating, aesthetically pleasing lighting scheme and smart home control system is important to the presentation of a leading, luxury residence. We also fully understand the commercial aspects of correct product specification and supply at the appropriate price to enhance the projects viability. We fully acknowledge that a visually stimulating, aesthetically pleasing lighting scheme and smart home control system is important to the presentation of a leading, luxury residence. We also fully understand the commercial aspects of correct product specification and supply at the appropriate price to enhance the projects viability. Acting as consultants, The Next Level provide an exemplary service consisting of complete smart home technology and lighting scheme design, product specification and management of the construction phases following the RIBA Plan of Work model. What separates our service from a traditional consultancy practice is having hands-on experience with the products we specify. We have an internal R&D department with all the leading home automation and lighting control systems at our disposal to facilitate the comprehensive testing of new products with trusted control system brands. This attention to detail and ability to bench test our designs in-house, ensures 100% compatibility of the products in our specifications. Positioned on this historic street, Mayfair House is an exquisite, boutique development of apartments that have been designed with immense style by renowned International design house, Finchatton. This project is a perfect example of technology harmonising with interior design to breath taking result. Acting in our capacity as both smart home specialists and electrical contractor to the project, we simplified all phases of the design and construction process for the project team, delivering an exceptional, cutting edge development to the investors. This distinctive Grade II listed townhouse and mews property in the heart of Belgravia is presented as a turnkey luxury residence. We were brought in by the leading developer, Residence One, to develop a scheme that would satisfy the most discerning clients and help create one of London's finest properties. The creation was a classic yet timeless residence spanning over 7,100 sq. ft. featuring five bedrooms, a leisure complex and a stunning home theatre. Our client's vision was simple, they wanted to create the finest private house in London. An inspirational vision but one we set out to achieve with gusto. The finished result was a truly awe-inspiring property spanning over seven floors, each room beautifully crafted with the utmost attention to detail.  Our award-winning installation ensured technology was discretely hidden from view but integrated into every aspect of the home, with state of the art security to provide the occupying family peace of mind. This flawless family home located in the heart of Kensington & Chelsea, was a result of one of London's leading developers, carefully restoring it back to its true beauty. The technology scope was to remove any unnecessary clutter from the rooms and provide a simple yet powerful control system that would transform the historic building into a modern day home with all the amenities you would hope for. Discretely hidden in the affluent area of Chelsea, this adventurous project brought a modern design edge to a historic part of London. This exciting project enabled us to work alongside some of the world's finest contractors and be involved in the creation of a technology rich, exquisitely crafted development. The end result is a marriage of beauty and function, embodying those attributes that enlighten and illuminate the most personal of an individual's assets: their home. Situated in the heart of Knightsbridge is The Lansbury, a building wrapped in striking red sandstone, steps from Harrods, developed by world renowned design house Finchatton. The Next Level were involved from concept to completion in this boutique development of apartments. Technology was paramount to the project. The brief was state of the art technology with integrated security and concierge facilities.  We took the brief and delivered a CEDIA award winning Crestron installation nothing short of perfection. This GBP 40 million flagship development houses cutting edge smart home technology subtly blended with exquisite interiors and our client's inspirational vision. This particular white stucco home is located on one of London's most affluent squares, which was regarded as one of Thomas Cubitt's greatest developments. Encompassing 3 bedroom suites, great spanning living areas and a rare south facing garden at the rear of the property, our client awarded Finchatton the role of extending and refurbishing the property whilst retaining the elegance and charm of traditional Belgravia. As a development project for the rental market, it was imperative that the control system be practical, useful and simple to understand for any potential tenant. This was made a reality by our experienced team and their ability to translate our brief into an exceptional smart home that exceeded our client's expectations. The scope was simple. Ensure that the technology systems installed meet expectations of the most discerning ultra-high net worth individuals. Through careful planning and product selection, we delivered a Crestron audio visual system integrated with door entry, climate control and Lutron lighting to accentuate the beautiful decor, satisfying all expectations. This grand property in Kensington was a perfect example of how our rescue works team operate. Our long-term client purchased this newly renovated property but was unfortunately met with a continual reign of disasters when trying to operate their home. Our client asked that we came in to review the system and rectify all faults found whilst also offering a proposal to upgrade the cinema room. Our approach was to completely decommission the existing system enabling us to start again with a fresh palette. We utilised all high-quality components existing within the original installation and upgraded any products necessary to provide robust reliability and a better user experience. Our team worked tirelessly over a fortnight period to turn this smart home installation around. It was mission accomplished, with our loyal client now enjoying a trouble-free system with upgraded cinema and luxury Savant control system. Positioned in the heart of West London, this charming terraced property is situated on a quiet cul-de-sac a few steps from Harrods. We developed the scheme alongside the architect to ensure this beautifully refurbished property had the latest Control 4 technology with all fundamental services integrated to provide ease of use. The newly constructed lower ground floor was added to make way for a beautifully crafted home theatre and entertaining space boasting the very latest home cinema technology, all automated at the touch of a button. If you would like to talk to us about an upcoming project or a career opportunity with The Next Level, we would be delighted to hear from you.